Stone, who has denied being involved in unlawful behaviour, was due to appear before a Florida court, said the indictment seen by journalists. Washington DC: One of US President Donald Trump’s former close associates was arrested by the FBI in Florida on Friday on charges stemming from special counsel Robert Mueller’s investigation into Russian involvement in the 2016 presidential election, according to an indictment released by the investigation. Roger Stone, who was one of Trump’s close confidants, has been charged on seven counts, including witness tampering, obstruction of justice and providing false statements about his involvement in the publication of hacked emails during the 2016 presidential election, the indictment said, reports Efe news. Some of the alleged false statements, linked to the release by WikiLeaks of the hacked emails, were given to the House Intelligence Committee, according to the indictment. 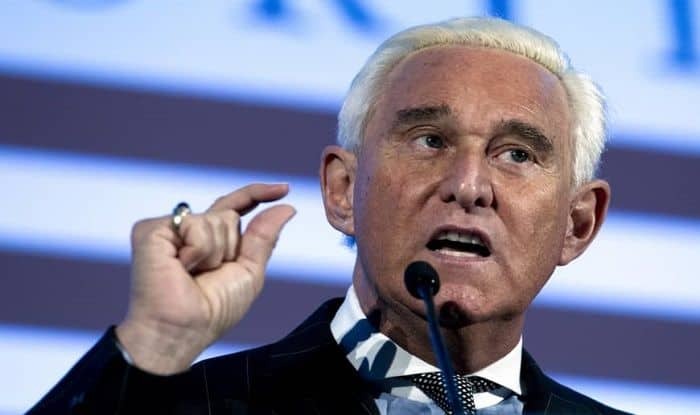 The indictment accuses Stone of being linked to the release of emails stolen from the Democratic Party and posted by WikiLeaks just before Hillary Clinton’s defeat but does not accuse him of any involvement in election tampering. Mueller’s investigation has said the emails, belonging to John Podesta, who led Clinton’s election campaign, had been hacked by Russian intelligence agents. Stone has often echoed Trump’s claim that the investigation was a witch hunt.